Fair friends! Music maniacs! Vivacious purveyors of tunes of all sorts! Pluck the headphones from your aural canals, log out of your streaming Internet radio station, and listen up! 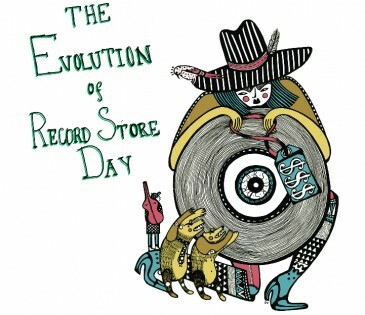 Record Store Day 2013 is nigh, the day dedicated to good old-fashioned physical music and the people that make it. It’s one of our favourite days of the year in this fair city of ours, and we at Discorder are here to broaden your horizons for what can be new, overwhelming, and/or uncharted territory. 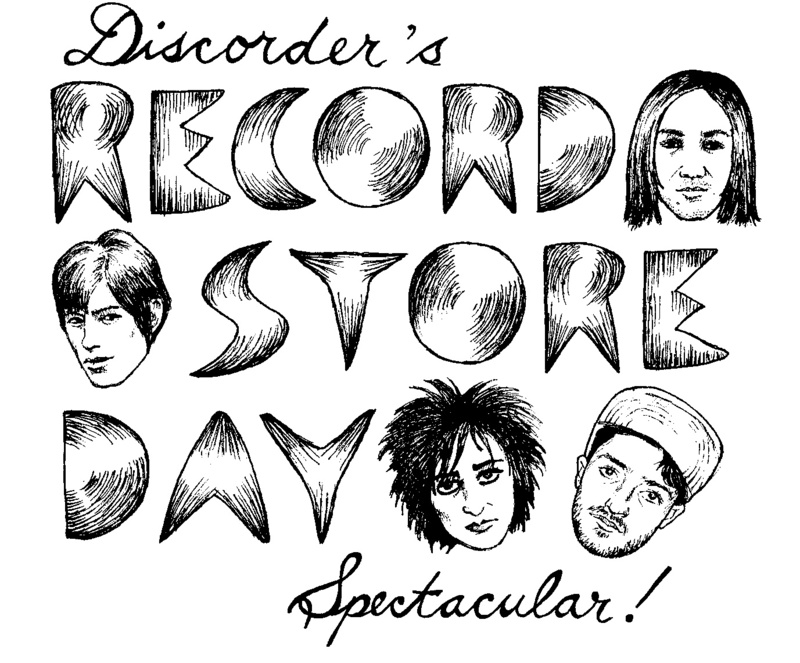 It’s our Record Store Day Spectacular and you are invited. Where: Definitely Neptoon Records on Main St. It’s a hub for vinyl culture in East Van, and the owners always put together an amazing lineup of bands for RSD. If you’re lucky, you’ll get to peek their incredible vinyl-stacked green room. Pick 1: This year’s Hendrix re-release, of course. I’m kidding. That’s awful. The Jesus and Mary Chain, Psychocandy paint-splattered re-release is obviously going to be gone before I get there. Who wants to hold one for me? Where: Neptoon Records. It is cozy in there. Pick 1: Tame Impala, Tame Impala EP. I love Tame Impala, I am pretty confident that they are a major gem of this generation, one of the best. I haven’t heard much of their EP but I have both Lonerism and Innerspeaker on vinyl and listen to them all the time. They are one of those bands that you put on and dance on your bed to. Pick 2: David Bowie, “Drive-In Saturday” / “Drive-In Saturday” (Russel Harty Plus Pop Version)” 7-inch picture disc. I am obsessed with everything Bowie and always have been. Where: Neptoon Records and Red Cat to start, then hopefully all the other record stores I have the energy to bike to. Pick 1: Ty Segall, Ty Rex 2 7-inch featuring new T. Rex covers (1500 copies). Kind of just want this because the name “Ty Rex” is so damn great. 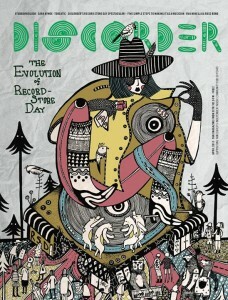 Beyond that, the prospect of Ty Segall covering T. Rex tunes in his inventive rock howls seems like an ideal RSD outfit. Pick 2: Nick Drake, Nick Drake LP. A reissue of Bryter Layter is scheduled to be out on March 25, so it’s hard to say what this RSD LP will entail. Whatever misery pop hides in these grooves, my nostalgic side is eager to hear. Where: Red Cat, by a landslide. Seeing Apollo Ghosts and Ladyhawk tear it up there last year was one of the defining moments of my summer. Pick 1: Various Artists, Drive Original Soundtrack picture disc reissue. That a soundtrack is being reissued for RSD makes me giddy inside; that it’s Cliff Martinez’ excellent score to one of 2011’s best films makes me tremble with joy. 80s-flecked synth scores and quiet background harmony. Pick 2: Brian Jonestown Massacre, “Fist Full of Bees” / “Food for Clouds Colored” 12-inch. The fact that the Brian Jonestown Massacre hasn’t thrown in the towel and died is cause enough for celebration. Bring on the overpriced limited editions to keep Anton Newcombe’s heart beating. 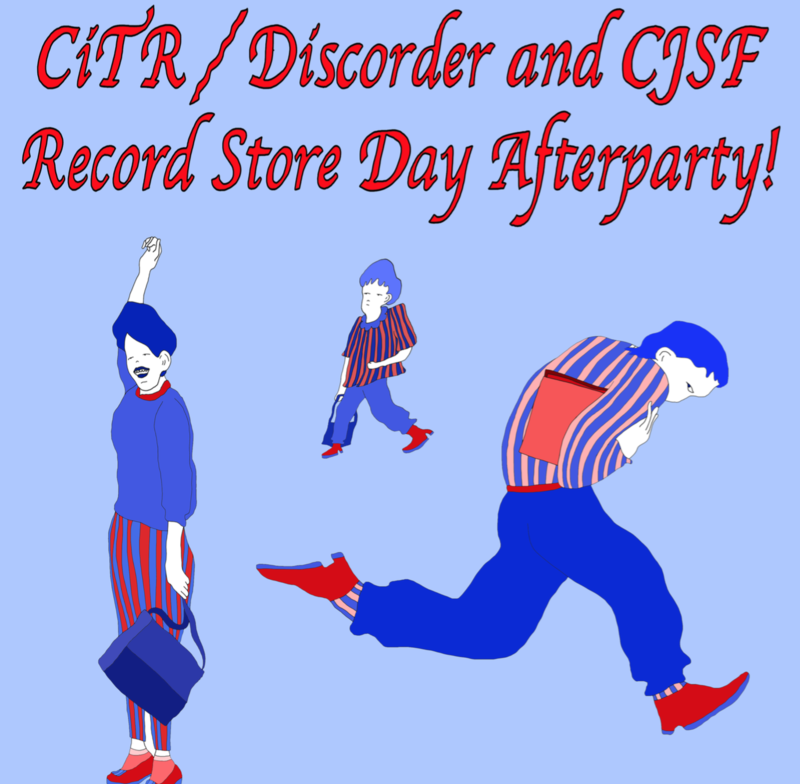 Where: If Interurban/Scratch Records does anything like the no-cover, 12-band, cheap beer and vinyl extravaganza they had last year, then I will most certainly be there. Then maybe check out K-Os’s first gig at the Commodore as an official Vancouverite with the rest of the 420ers. Pick 1: The Black Lips/Icky Blossoms, “Mamas, Don’t Let Your Babies Grow Up to Be Cowboys” (Willie Nelson & Waylon Jennings cover) / “Arabian Knights” (Siouxsie & the Banshees cover). There will only be 1000 pressed, so clearly I won’t be able to get a copy, just being able to hear these covers will be enough for me. Pick 2: The Genius/GZA, Liquid Swords chess box vinyl edition. Not only is it a re-release of a classic hip-hop album from one of Wu-Tang’s alumni, but it’s also a version that comes with special liner notes, artwork, and an actual chess set you can play on the inside of the box. Where: As a proud Discorderian and Kitsilano-ite, (I don’t know if either of those are actual terms, but) I am most excited about going to Zulu Records this April 20. Pick 1: The Velvet Underground & Nico, The Velvet Underground & Nico acetate version (green vinyl). The releases I am most looking forward to are from two NYC bands that helped define new territory in rock music. First, this now iconic 1967 album with the yellow banana cover art is seen by many as the first ever “alternative rock” album. Pick 2: The Strokes, All The Time 7-inch. It marks the brand new release from the band, who along with the Hives, Vines, and White Stripes, helped spearhead the commercial breakthrough of a post-punk/garage rock revival a decade ago, whose indie rock influence can still be felt today.